Not interested in Rye ? Please choose a different community. Shed your armor and let the real, already-whole you shine through. Explore every lovable layer of your being, from the palpable (physical body) to the subtle (spirit) through a three-part practice. Gentle asana invites connection between breath and body. A restorative sound bath uses supported postures and sound vibration to calm the nervous system and clear the mind. Finally, a guided yoga nidra meditation encourages the liberation of deep-seated emotional patterning from the unconscious. This workshop is a space for deep listening and release. Megan Young has an inkling that most of us could use some help in feeling more radiant, empowered, and loving. It lights her up inside to offer tools and space for us to find those things by realizing that we're already whole. She uses movement, breath work, sound, meditation, and marma therapy (yoga acupressure) to help unlock us from patterns that hold us back. Less fear, less shame, less anger, more love. 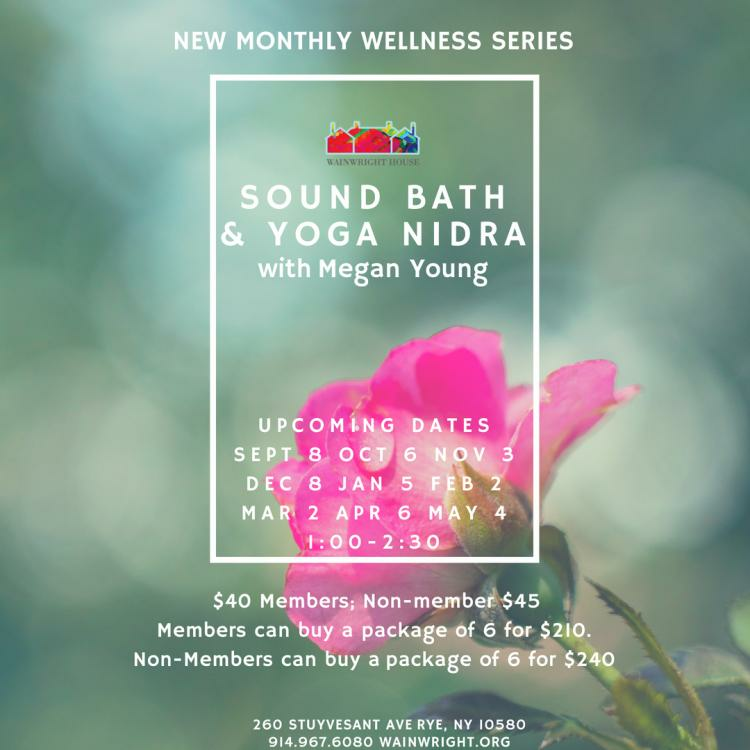 Megan is a Yoga Alliance-certified E-RYT 500 teacher, and a sadhaka (yoga master-in-training) in the ISHTA Yoga lineage, where practical wisdom reigns. She teaches in Fairfield County, CT and New York City, and is part of the teacher training faculties at ISHTA Yoga and Stamford Yoga Center.